Are you looking for a quick and easy salad recipe? 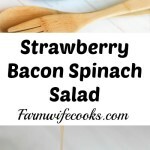 This Strawberry Bacon Spinach Salad won’t disappoint! It can be tossed together quickly and has an easy homemade dressing that tastes great! I first made this salad for a Mother’s Day gathering at our house to celebrate all the special ladies in our life. 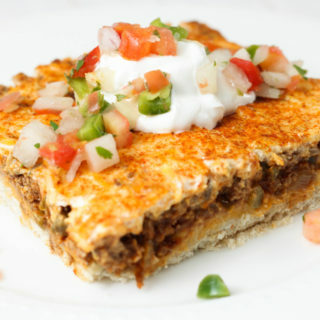 We usually host three mother’s day cookouts that weekend so I was looking for something different and I fell in love with this recipe. It was a big hit and I now make it for all most all of our family gatherings. It is one of my favorite salad recipes, sweet and crunchy! We are usually planting corn or soybeans on the farm around Mother’s Day. We have just a couple weeks to get all the crops in so when the weather is right my husband is usually working really long days and rarely stops. However, celebrating the awesome moms in our life is one of the very few times where he will park the tractor and come and eat with all of us. To me, that makes it even more special! 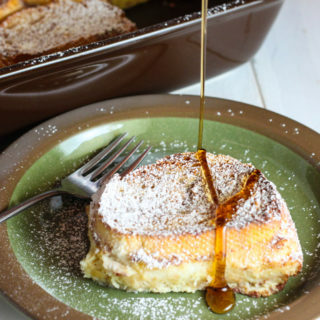 This recipe can be tossed together quickly. 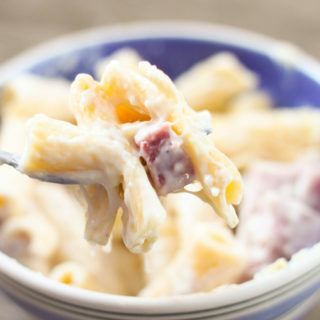 One of my favorite shortcuts with this recipe is to use a bag of the already cooked bacon pieces instead of cooking the bacon, real time savor – oh and you won’t dirty any dishes! You could also serve it with plain raspberry vinaigrette, but if you have the time make the homemade dressing it is totally worth it! 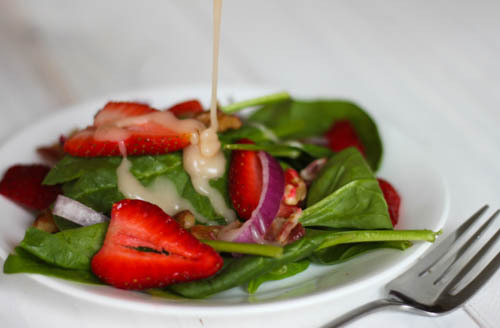 This recipe is perfect in the spring when strawberries are in season but I also make it in the winter and tell myself spring is right around the corner! I usually leave the red onion in large pieces so those who don’t like it can easily pick it out. I also like to store my nuts in the freezer to help them stay fresh. 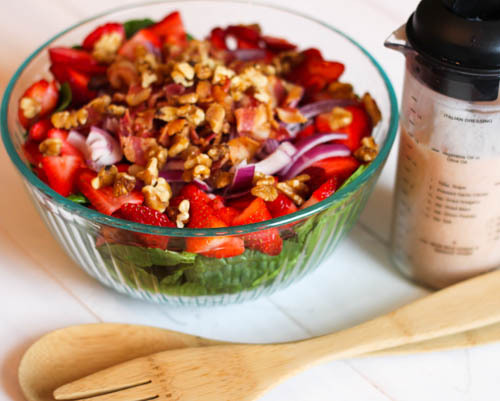 In a salad bowl, combine the spinach, strawberries, bacon, onion and walnuts. In a small bowl or dressing pitcher combing the mayo, sugar, vinegar and vinaigrette.